Cross-country Skiing first appeared at the 1976 Winter Paralympic Games in Örnsköldsvik, Sweden and has been a regular sport at the Winter Paralympics. 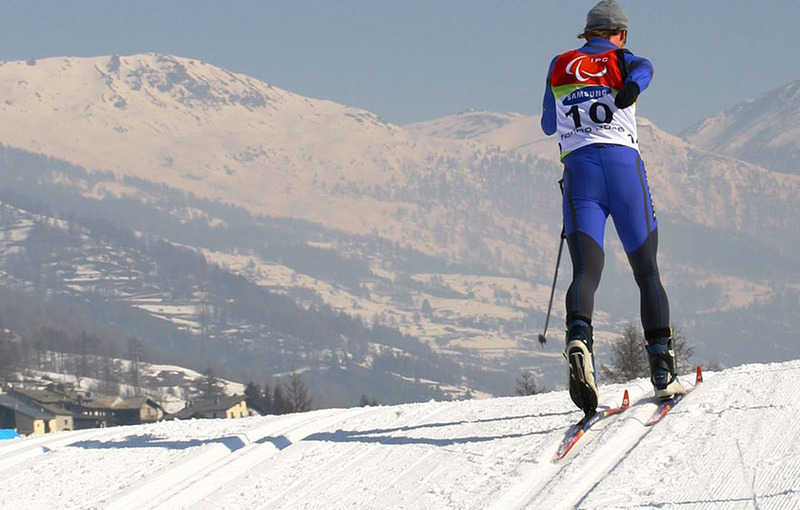 Cross-country Skiing is governed by the International Paralympic Committee in co-ordination with the World Para Nordic Skiing Technical Committee. Cross-country Skiing is open to male and female athletes with a physical impairment or blindness/visual impairment. There are three classifications: standing, sitting and visually impaired. Athletes with a physical impairment compete standing or sitting depending on their leg functionality. Competitors in the sitting class use a sit-ski which is a chair equipped with a pair of skis. Athletes with a visual impairment compete in the event with a sighted guide. Events range from short distance (1km), to middle distance (5km and 10km) and long distance (15km and 20km), as well as team relays (10km). Five Australians have competed in cross-country skiing at the Winter Paralympics starting at Geilo in 1980, but Australia is yet to win a medal in the sport. To compete at the highest level in two different disciplines is amazing." Three Australian athletes participated in these Games: Rodney Mill (Cross-Country Skiing), Kyrra Grunnsund (Alpine Skiing) and Andrew Temple (Alpine Skiing).